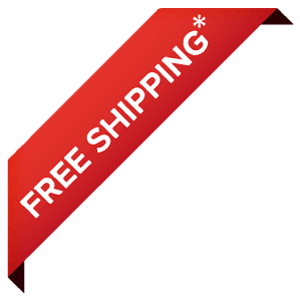 Choose Organic Apple Peel Powder for Your Nutrition and Vitality. Did you know that apple peels contain more phytonutrients, antioxidants, and bioactive enzymes than the actual flesh of the apple? If the old wives' tale is true and an apple a day can work wonders, imagine what would happen if you could concentrate the most powerful, nutrient-filled part of an apple and add it to your everyday diet. 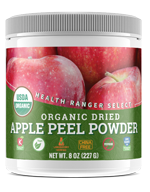 Health Ranger Select Organic Apple Peel Powder makes that possible. Our gently dried, powdered apple peel contains an array of potent bioactive enzymes that help support joint health, promote a feeling of satiety, and help curb harmful oxidation processes in the body. 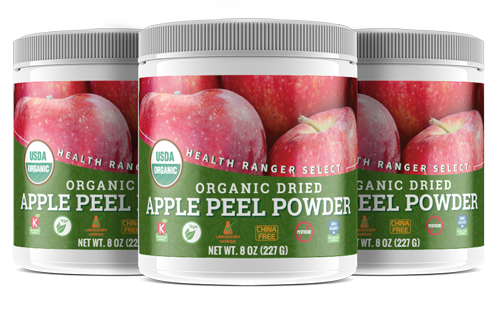 WHAT IS ORGANIC APPLE PEEL POWDER? 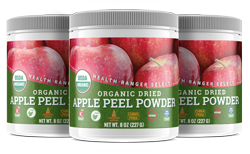 Health Ranger Select Apple Peel Powder is made from non-GMO, organic apples grown in Canada. Once they've been gently dried and milled to a powder, nothing is added. 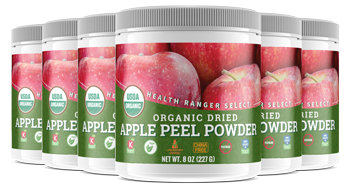 Health Ranger Select's Apple Peel Powder is always free from preservatives, desiccants, harmful chemicals, sweeteners, and additives of any kind. 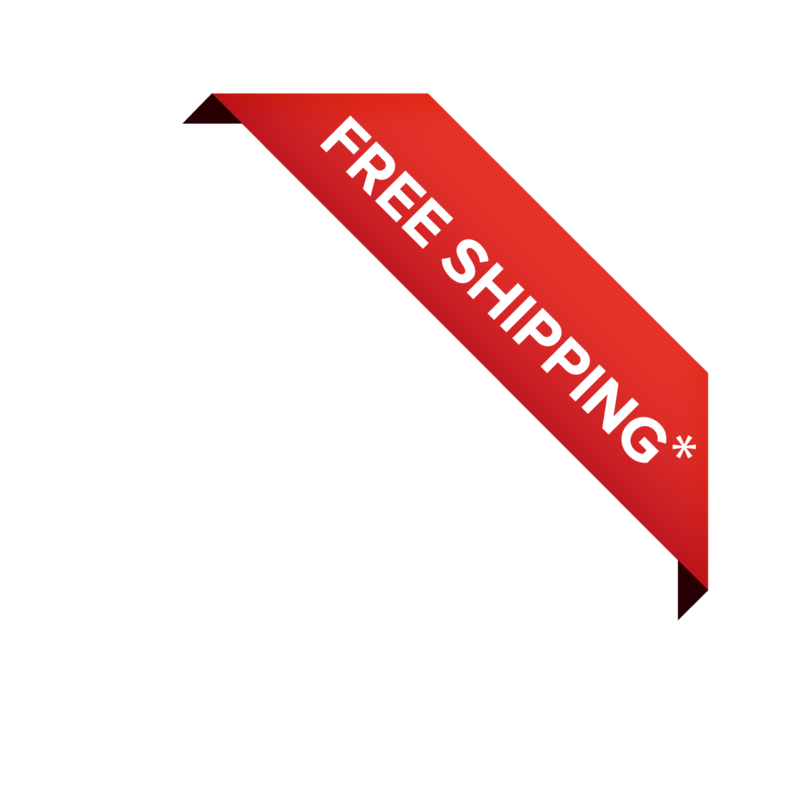 The powder itself is certified organic and lab verified for heavy metals and other contaminants. 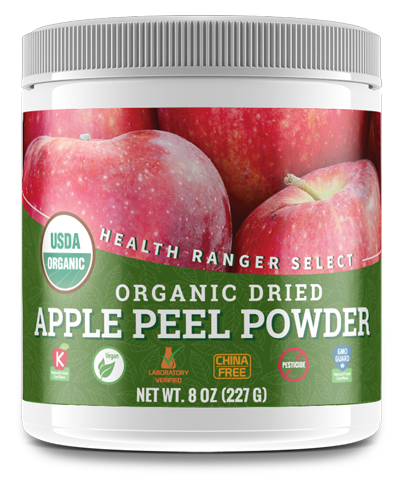 Like all Health Ranger Select products, Organic Apple Peel Powder is completely China-free, sourced from the highest-quality apples available, and prepared in-house to ensure it's the best of the best. 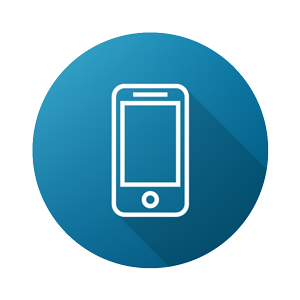 Get 5% back on your purchase by signing up for our rewards program when you order today!